We are very excited to welcome Monica Rikic as a guest lecturer in Design und Technologie I.
Monica is a new media artist and creative coder from Barcelona. 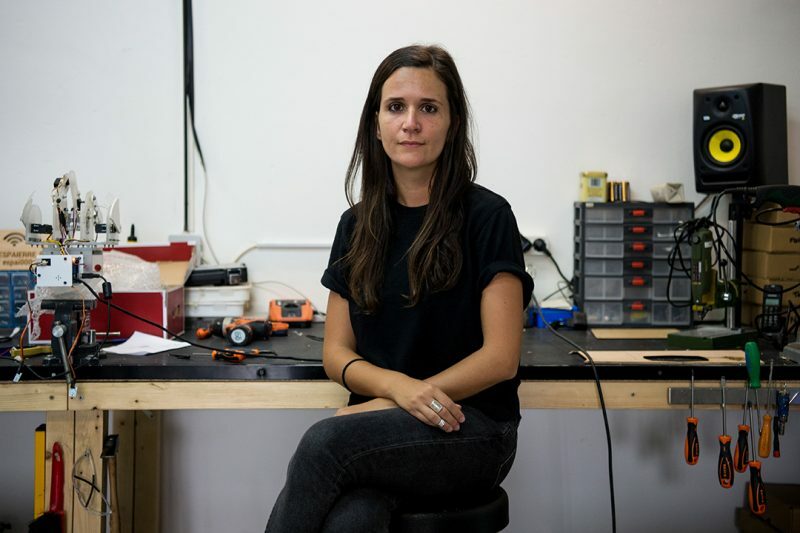 Her practice focuses on code, electronics and non-digital objects for creating interactive projects often framed as experimental games, which aim to go beyond the game itself. From educational to sociological approaches, her interest lies in the de-hierarchization of traditional art relations. She has participated in numerous festivals such Ars Electronica, Japan Media Arts Festival, FILE Festival or Sónar, among others, and held residencies at TAG Montreal, the EMARE Residency at QUT (Brisbane) and at Ars Electronica Futurelab. Currently, she is working on a research project about digital arts with a grant from BBVA Foundation . Come join us this coming Monday, when she will be talking about her work and artistic practice. Monday, 8th of October, 20:00. Room 1.50, Zinnowitzer Str. 11, Berlin.